This is the kind of book that provokes a strong reaction—it seems people either love it or hate it. I am firmly on the side of love. 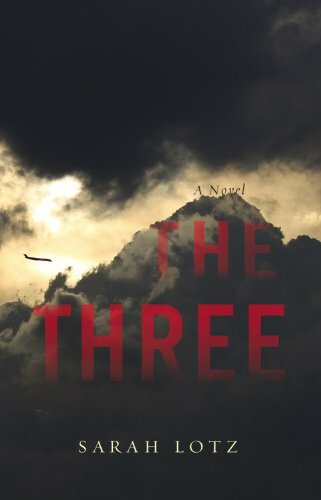 The Three is gripping, spellbinding, and all those other cliches adored by book reviewers. In a single day, four different planes crash on four different continents. Three children walk away from the wreckage unscathed. These three miraculously survive, against what rescue workers say are impossible odds. It doesn't take long for religious fanatics to declare the children to be messengers from God—specifically, three of the four horsemen of the apocalypse. The families of the children discount these claims, but they have to admit they've noticed some changes in their children since the planes went down. Suddenly the world seems full of evil portent, and no one has a good explanation for any of it. Lotz tells her harrowing story as a book-within-a-book. Fictional journalist Elspeth Martins has conducted extensive interviews and collected hundreds of documents that she then published in a single volume. Her book is formatted as a series of short segments, with interview excerpts followed by news articles sandwiched between Internet chat transcripts. While I recognize that this stylistic choice could drive some readers up the wall, I found it incredibly compelling. If the plane crashes actually happened in our world today, we would read about them in fragments, clicking on Internet articles, watching the 24-hour news pundits, and reading interviews of the victims' families in magazines. Reading The Three is like reading about a real tragedy in real time. The narrative is disjointed, sure, but it made the eventual revelations that much more exciting. I couldn't wait to find out what was going on with those kids. I wanted to be rational and assume that nothing paranormal was going on; after all, the religious nut jobs and alien-abduction proponents weren't convincing characters. But there is something undeniably weird about those three kids. Their smiling, happy manner, their laughter at inappropriate times, the strange things they say...They're creepy as hell. This book is devilish fun. If you enjoy multi-layered, complex mysteries, if you like to be just a little creeped out, if you can be patient with the structure, you will devour The Three. Why isn't this book discounted on Amazon? Click here to read about the ongoing dispute between Amazon and Hachette Books, publisher of The Three and many other popular titles.